Information: Francisca S. Reyes-Tolentino Aquino, author of books about Philippine dance. Known as the legendary "Mother of Philippine Dancing," Frances was born in Lolomboy, Bocaue, in the Philippine Province of Bulacan, on March 9, 1899. She was the eldest of three children of Filipe Reyes and Juliana Santos Reyes of Manila. She obtained her High School Teacher's Certificate in 1923 and her Bachelor of Science in Education degree in 1924 from the University of the Philippines. As early as 1921 to 1923, Francisca began her search for folk dances to use in classes while a Student Assistant in Physical Educatiion. She traveled to remote barrios (rural communities) in Central and Northern Luzon. In 1924, she became an Assistant Instructor. She quickly saw that, with further impact of Western culture, many dances would be lost or extensively modified. She continued gathering folk dances, songs, and games for her master's thesis at the University of the Philippines in 1926. She revised her work in 1927, and published it as Philippine Folk Dances and Games. In this and later collections, the great diversity of dance type, tempo, and music reflected a many-faceted Filipino character. She was asked to chair a committee at the university that would go to the most remote areas of the Philippines to gather material directly from the old people who used to dance them in their younger days. The hundreds of dances were collected and transcribed with close attention to their authenticity and local color, then presented to the Manila public at various dance recitals. The university offered dance classes in the physical education department and a folk dance troupe was formed that toured the provinces to acquaint the people with the various folk dances of the country. 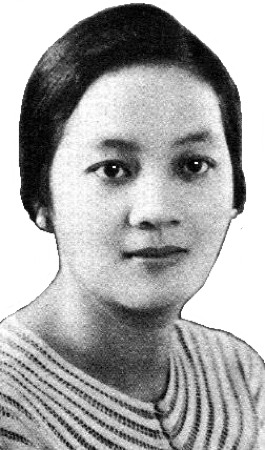 From 1929 to 1931, Francisca's teaching and research were interrupted by two years of study at Boston University as a University of the Philippines Fellow. Receiving a Certificate in Physical Education, the experience broadened her professional interest in the dance as an art form and also equipped her for more intensive field research upon her return. In 1934, Francisca married Professor Ramon P. Tolentino, Jr., then Assistant Director of the Department of Physical Education, who shared her dream of promoting Philippine folk dances in the physical education curriculum of Philippine schools. In that same year, university president Jorge Bocobo gave tangible support to Frances Reyes Tolentino's research proposal, enabling her, her husband and a university colleague, Antonio Buenaventura, to study native dances in Mindanao, Leyte, and Mountain Province and record songs with the aid of a Victor recording machine. The expedition gathered material on 38 folk dances and 33 songs and airs. This research inspired compositions by Mr. Buenaventura and other members of the music faculty and a number of public performances which President Bocobo enthusiastically endorsed. In Leyte, they found the Tinikling, danced between rapidly clapped, bamboo poles and named after a long-legged bird, the tikling, seen in rice paddies. Tinikling has since become a national favorite of both children and adults. In 1935, they made complete notes on 33 folk songs and dances in Mountain Province, 8 in Ilocos Norte, 14 in Ilocos Sur, and 4 in Abra. Typical of her willingness to make an extra effort so that others might know her country better, Mrs. Reyes Tolentino organized the Filipiniana Folk Dance Troupe which performed for servicemen as a part of the United States Army Special Services for seven months in 1945. The death of her husband, in 1939, after four and half years of a close personal and professional partnership, tested Mrs. Reyes Tolentino's devotion to her self-imposed mission to enrich Philippine culture by the propagation of performing folk arts. Her faith, her daughter, and her deep interest in her lifework, however, carried her through this personal loss to greater achievements. In 1947, she married Serafin Aquino, secretary-treasurer of the Philippine Amateur Athletic Federation, an enthusiastic collaborator in presentation of his wife's work. That same year, Frances Reyes Aquino became the superintendant of Physical Education, Bureau of Public Schools, Philippine Republic. She was awarded a Doctor of Sciences degree in Physical Education, Honoris Causa, from Boston University and, in 1959, a Doctor of Humanities, Honoris Causa, from Far Eastern University in Manila, Philippines. She is the author of seven books and numerous articles. In 1949, Dr. Reyes Aquino founded the Philippine Folk Dance Society to bring together physical education students, teachers, administrators, and individuals interested in folk dancing. Dr. Reyes Aquino received the "Philippine Republic Award of Merit" for her untiring efforts in collecting, compiling, and propagating folk dances, and for her outstanding contribution to the advancement of Filipino culture in the field of dance. Other awards include the Cultural Award, UNESCO of the Philippines; the Rizal Pro-Patria Award; certificate of merit Bulacan Teachers Association; the Ramón Magsaysay Award, and an award for outstanding alumna, College of Education, University of the Philippines. In 1961, Dr. Reyes Aquino was invited by the International Recreation Association on the Cultural Exchange Program to lecture, teach, and demonstrate Philippine folk dances in the United States. That same year, she was given the Rizal Pro-Patria Award, conferred on individuals (Filipino or foreigner), societies, institutions, and other organizations. She taught at major folk dance camps and conducted workshops at many universities and colleges; and she presented Philippine dances and folklore at the Fourth International Congress on Physical Education and Sports for Girls and Women, Washington, D.C. In 1973, President Marcos gave Dr. Reyes Aquino the National Artist for Dance Award for her contribution to the preservation and propagation of the folk dances of the Philippines. For many years, Dr. Reyes Aquino was consultant to the world famous Bayanihan Folk Dance Troupe, which continues to perform in the major capitols of the world. The University of the Philippines Dance Troupe, founded in 1988 by Dr. Reyes Aquino, continues to perform for local audiences. The Cultural Center of the Philippines has namamed one of their lower basement rehersal halls "Bulwagang Francisca Reyes Aquino in her honor." The hall is for theater, dance, music arts, and occasionally for lecture-demonstrations, artists' interactions, master classses, and workshops. Active in organizations whose programs related to her work, Dr. Reyes Aquino was a member of the Women's Athletic Committee of the Philippine Amateur Athletic Federation from 1940 to 1954 and again in 1955 to 1956. She also served on the Curriculum Committee of the National College of Physical Education, the National YMCA Board in 1945 and 1946, the Entertainment Committee of the International Society for Education in 1960, and as a member of the United Nations Association of the Philippines from 1956 until her death in 1984. A Memorial Fund was established in her name and "Lola Kikay," a musical based on her life, has been staged. Fundamental Dance Steps and Music. Aquino, Francisca Reyes. Manila: Kayumanggi Press, 1951, 1957. Philippine Folk Dances, vol. 1 (1953, 1965), vol. 2 (1953), vol. 3 (1956, 1960), vol. 4 (1960). [Francisca Reyes Aquino]. Manila. Instructions and music for 25 (vol. 1), 35 (vol. 2), 26 (vol. 3), and 22 (vol. 4) dances, arranged by region. Illustrated. "FRA #." Philippine Folk Dances and Games=. Francisca S. Reyes-Tolentino Aquino, and Petrona Ramos, B.P.S.M., M.M.. New York: Silver Burdett, 1927; 1935. Instructions and music for 20 dances and 46 games. "FRA 0." Philippine National Dances. Francisca S. Reyes-Tolentino Aquino. New York: Solver Burdett, 1941, 1946. Instructions and music for 53 dances. "FRA 01." Playground Demonstration. Aquino, Francisca Reyes. Manila: Kayumanggi Press, 1951.